We offer the aircraft buyer a comprehensive service that includes locating, evaluating, appraising, inspecting and negotiating the purchase of an aircraft. There are numerous steps involved in acquiring an aircraft and an abundance of available aircraft to choose from. The process of selecting the right aircraft is often complicated, time consuming and costly. We will help you focus on selecting the best aircraft for your needs, preferences and budget, based on relevant information and up-to-date market conditions. Our advice to you will be based on objectivity and facts. Analyze buyer’s travel profile based on frequency, destinations and average number of passengers. Provide a list of all aircraft models that fulfills your travel requirements. Present the pros and cons of each aircraft model. When the buyer selects a preferred aircraft manufacturer and model, we provide a list of all aircraft available that match your specifications. Provide specifications and insightful information on the targeted aircraft. After the buyer targets one or two aircraft, we travel to visually inspect the aircraft and provide a written report of our findings on each plane. 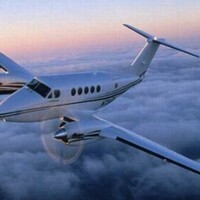 We will make arrangements for you, or your representative, to inspect the aircraft. We perform a Certified Aircraft Appraisal at no additional cost to verify that the airplane is worth the negotiated price. We make arrangements for a pre-purchase inspection at an agreed upon certified service center. Sit in on the pre-purchase and inform you of any discrepancies that may occur. We provide all agreements i.e. Offer to Purchase, Escrow Agreement, Purchase – Sales Agreement, etc. We assist with all phases of the transaction through documentation. From Seamless Acquisition to Flawless Aircraft Management M&B Aviation Turnkey Acquisition and Management service makes aircraft ownership easy and enjoyable. We’ve combined aircraft acquisition and aircraft management into one comprehensive program. By doing so, there is no delay in operating your aircraft immediately Complete aviation services – from the initial aircraft purchase to the day-to-day operational and regulatory compliance requirements.